Principal Cast : Kenneth Branagh, Penelope Cruz, Willem Dafoe, Judi Dench, Johnny Depp, Josh Gad, Derek Jacobi, Leslie Odom Jr, Michelle Pfeiffer, Daisy Ridley, Tom Bateman, Olivia Coleman, Lucy Boynton, Marwan Kenzari. Aaaaaaaaand the Agatha Christie Cinematic Universe is upon us. Just kidding. The famed English author’s novels and stories have been turned into innumerable film and television projects, perhaps most memorably on the big screen with Sir Peter Ustinov’s take on Christie’s famed Belgian detective Hercule Poirot, and on the small with David Suchet. Poirot is a Sherlockian mystery solver of iconic status, fastidious and prone to grand reveals at the end of every case, and coupled with Kenneth Branagh’s direction (and leading man status) one hoped for a witty, highbrow modern take on one of literature’s most evocative murder mystery tales. 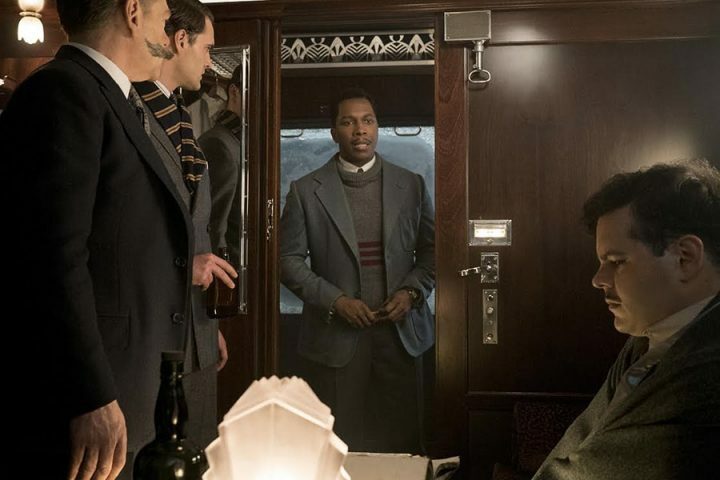 Sadly, Murder On The Orient Express comes to a full stop too early, and never feels as fruitful as its star wattage might indicate. 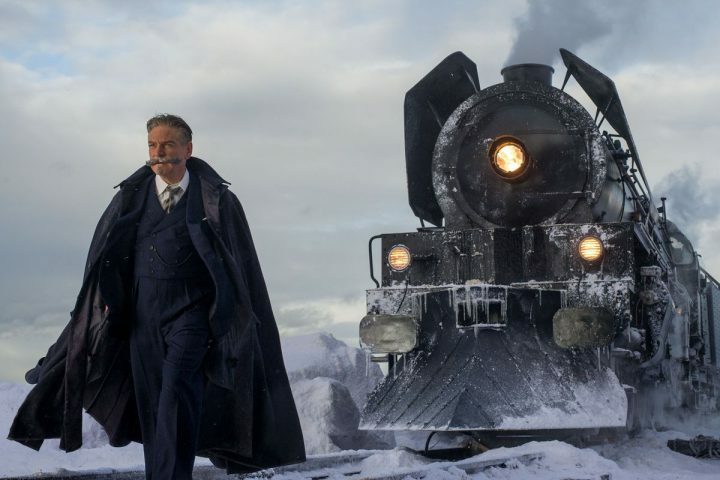 After successfully solving a case of theft in Jerusalem, Belgian detective Hercule Poirot (Branagh) is seconded back to London for another case and travels across the continent on the famed Orient Express at the behest of his friend Bouc (Tom Bateman). 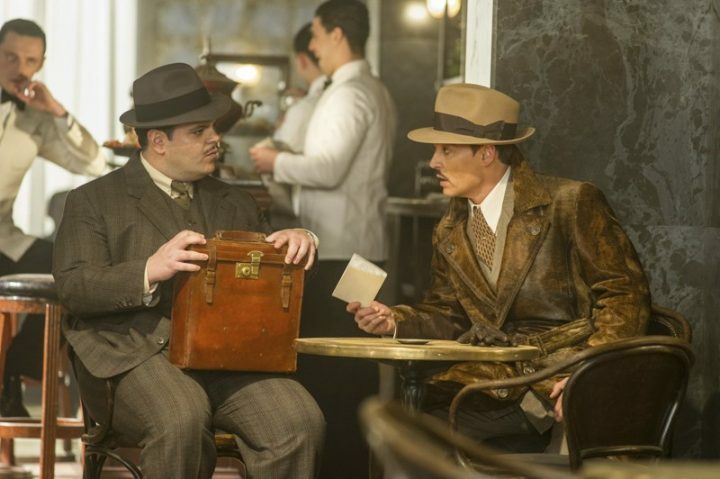 Whilst aboard, one of the passengers, businessman Samuel Ratchett (Johnny Depp) is murdered, and the train derailed, Poirot must question each of the passengers aboard to determine who might be the killer. Among them, wealthy socialites Caroline Hubbard (Michelle Pfeiffer) and Mary Debenham (Daisy Ridley), elderly Princess Dragomiroff (Judi Dench), Mary’s secret lover Dr Arbuthnot (Leslie Odom Jr) and resident racist German, Cyrus Hardman (Willem Dafoe), all of whom may have motive to either do the deed, or cover it up. Murder On The Orient Express reminds me of those old ensemble films where the cast were a bunch of A-list stars and the film pretty much went along as a who’s-who of Hollywood for the audience to spot – kind of like a Mel Brooks movie – only here, there’s a tangible lack of fun. Films like this ought to be fairly fluffy affairs, engaging and darkly humorous whilst being a celebration of the very best Hollywood has to offer. Backed by Agatha Christie’s original story, and working off a screenplay by Michael Green (Logan, Alien Covenant, Blade Runner 2049) you’d expect this film to deliver a stylish, slick-slash modern take on the classic story, but you’d be left wanting. There’s requisite plot twists – like half the cast never being exactly who they claim to be – but it feels hackneyed, and derived more from genre requirement than any natural progression on the part of the story: I know, the film is based on Christie’s original novel, but comparisons with other book-to-film adaptations leave a little too much wanting this time up to bat. 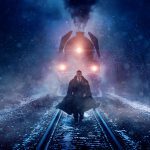 The film wants not for talent, that’s for sure, but bafflingly, the Orient Express never feels like it ever leaves the station. His legacy in film would indicate that Branagh is a man who can capture the balance between being the director and being the star of the same film (Hamlet, you guys!) but this film is one instance where that doesn’t appear to be the case. Branagh, in casting himself as Poirot as well as being in virtually every scene, seems to lack the gleam in his eye as the central character, missing either the wry wit Poirot has had in previous outings (he’s not an Inspector Clouseau-level bumbler, but Poirot isn’t afraid to sneak a quick jibe in here and there) nor the charisma to be charming or thoroughly debonair. Basically, I was too distracted by Poirot’s incredible moustache to buy into the character, and Branagh never seemed comfortable in the role. Oh sure, he played it well enough to carry the film, but with such a talky, mystery-centered plot in play I expected – nay, needed – a little more than this. In a world in which Benedict Cumberbatch has given us such a masterful Sherlock Holmes, Branagh’s Poirot feels a touch… dull. Poirot aside, the rest of the cast are largely urbane, the lengthy exposition and explanatory sequences doing little to make them either likeable or mischievous, instead being a cavalcade of dreary, one-note cliches for Poirot to either insult or badger or accuse. Johnny Depp gets killed off with relative speed, thankfully, even though he’s the most honest performance in the entire film, while the likes of Judi Dench, Penelope Cruz and Daisy Ridley offer scant width to an already muddled and cluttered ensemble. The enormously talented Olivia Coleman is given exceptionally short thrift as Dench’s on-screen maid, while Josh Gad offers tremulous and engaging work as an alcoholic suspect. Nobody seems to excel here, nobody offers much of noteworthy effort, content to splice their minimal roles into the larger tapestry that Branagh attempts to weave. Tom Bateman, however, is a particular standout as one of Poirot’s old acquaintances, one who isn’t afraid to dabble with prostitutes and makes no attempt to hide his scandalous behaviour. He’s rock solid here. 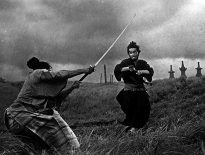 One element of the film I think worked well, if somewhat unappreciated, was Haris Zambarloukos’ cinematography. As a previous collaborator with Branagh (Thor) his eye here is exacting, giving the film a feel of sliding into crushed velvet. 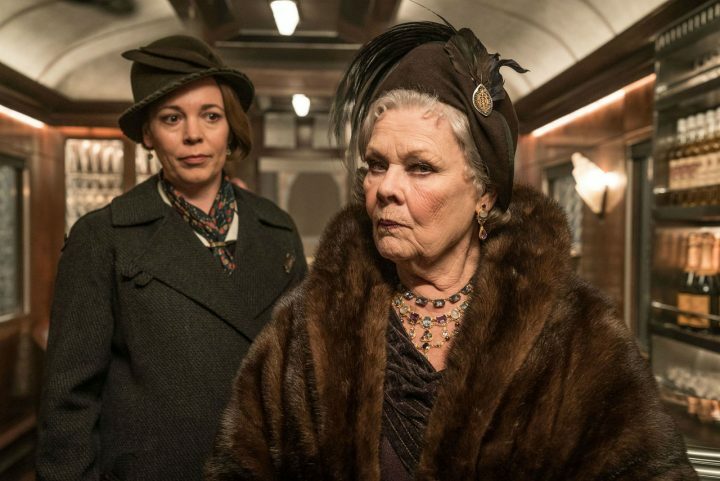 Rich browns, greys and muted primaries – with a few exceptions – give the film a soft, rich tone, mirroring the opulence of the titular train and affording us the feeling of luxury around which this evil act transpires. The film’s framing and use of camera, however, feels off-kilter, as if Branagh is trying for Spielberg-esque shots and ending up with something iniquitous. Branagh’s “flair” isn’t executed well enough, or at least with the same precision as, say the kind of stuff Spielberg achieved in Minority Report (Orient Express has a load of overhead shots) and it felt weakened and ill-considered. The film’s action sequences (such as they are) don’t work well within the more soft-focused sense of the film, and Branagh can’t seem to muster enthusiasm beyond the confines of the train’s carriages. More importantly, neither can we. There’s an air of disappointment about Murder On The Orient Express. Despite its flavoursome cast and wonderful production design, and Michael Green’s generally engaging screenplay, the gap between film and audience only widens the longer the film progresses. Branagh the actor never quite fits into the role of Poirot (and who’d have seen that coming? Nobody!) and his direction here feels clumsy, almost half-assed. I know that wasn’t the intent, it just feels like it. If there’s another outing for his take on the Belgian detective, I’ll probably see it, but I can see very few re-watches incoming for this Oriental escapade. Maybe just take a car.